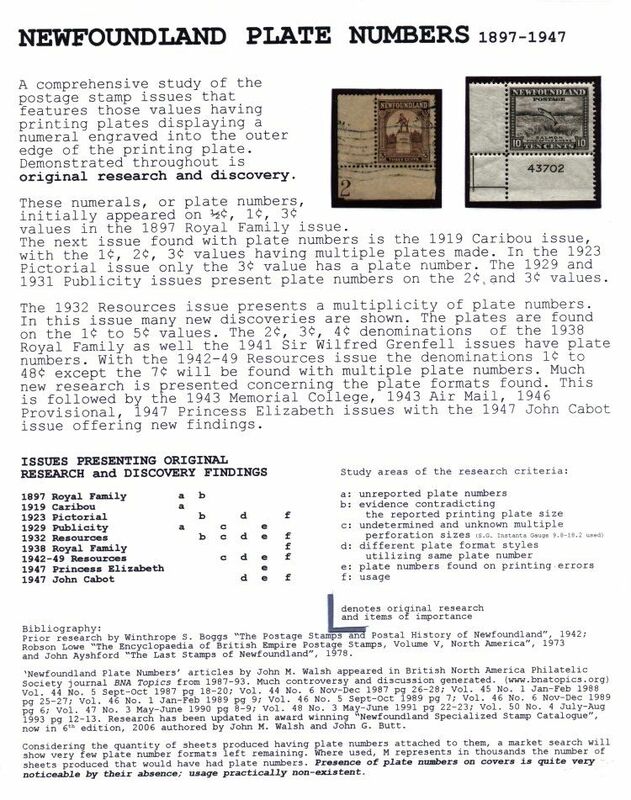 This exhibit is a comprehensive study of Newfoundland postage stamps whose printing plates have a plate number engraved on the outer edge of the plate. It contains discoveries resulting from the exhibitor's original research. The exhibit won Gold at BNAPEX 2000 Shaumburg, IL. Copyright © 2018 John M. Walsh.